This harbinger of spring has rosettes of crinkled, bright green leaves. 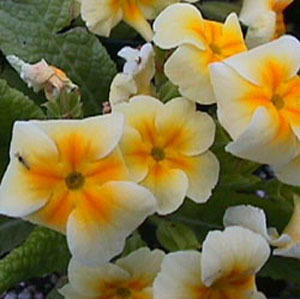 The creamy yellow flowers just barely rise above the foliage. height x width 6" x 8"
Categories: All Items, all potted plants, bee nectar plants, Potted Plants, More..